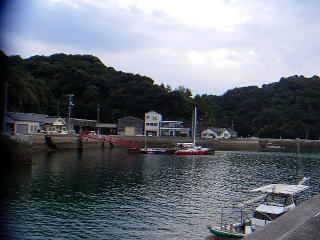 Miyanoura is located at the west side of Omishima island. 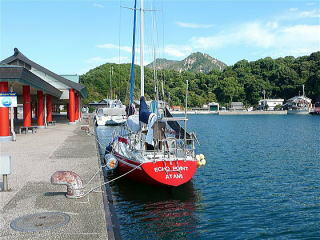 As there are many shallows, check your chart when you approach the port. smaller No. 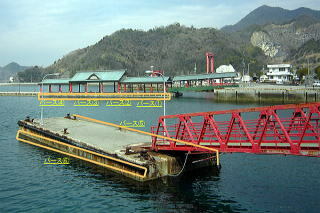 2 pontoon with red-colored bridge has berth No. 5 and 6. 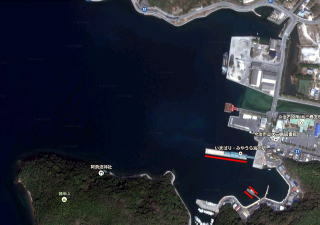 The island’s office of Imabari City owns the pontoons and requests your prior notice before your mooring. Fuel at 7 minutes walk-away gas station. Toilet is located at the side of Town Hall. 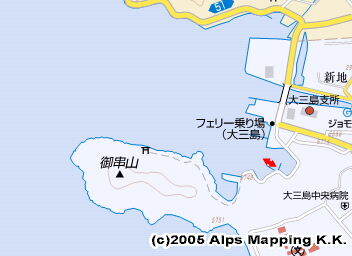 There are good restaurants along the street to the shrine, which is a major shrine in Japan. There is a big hot spring house 10 minutes drive or 30 minutes walk away.